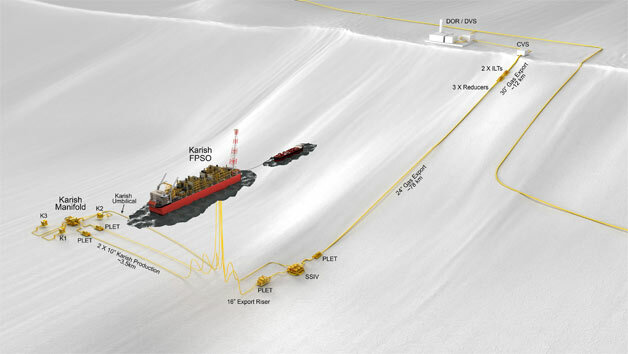 Corinth Pipeworks Pipe Industry S.A., a subsidiary of Cenergy Holdings, has signed an agreement with TechnipFMC for the manufacture and supply of the steel pipes for Energean’s Karish gas field development located in the South Eastern Mediterranean. The agreement covers 90 km, of 24 in. and 30 in. LSAW pipe material for the offshore gas pipeline that connects the subsea manifold at a maximum water depth of 1750 m to the receiving terminal onshore. This award for a deepwater pipeline project is another milestone in the development of Corinth Pipeworks’ growing presence in the upstream offshore energy business segment. Pipe manufacturing and coating will commence at Corinth Pipeworks facility, in Greece, later in 2018. TechnipFMC provides subsea, onshore, offshore, and surface technologies. Present in 48 countries all over the world and counting with 37 000 + employees, TechnipFMC assists its clients’ project economics with its proprietary technologies and production systems. Energean Oil & Gas is an independent E&P company focused on developing resources in the Eastern Mediterranean, where it holds 13 licenses, has 390 million boe reserves and resources and operates assets with a production track record of more than 37 years. ONEOK announces Bakken NGL pipeline extension to support new third-party NGL volume.